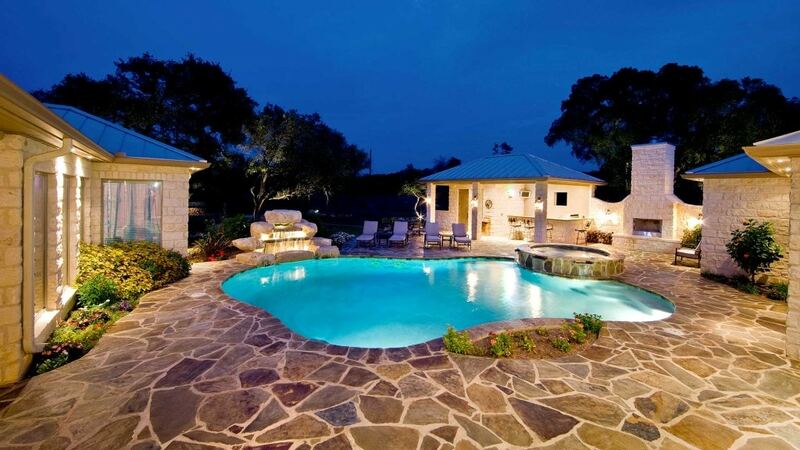 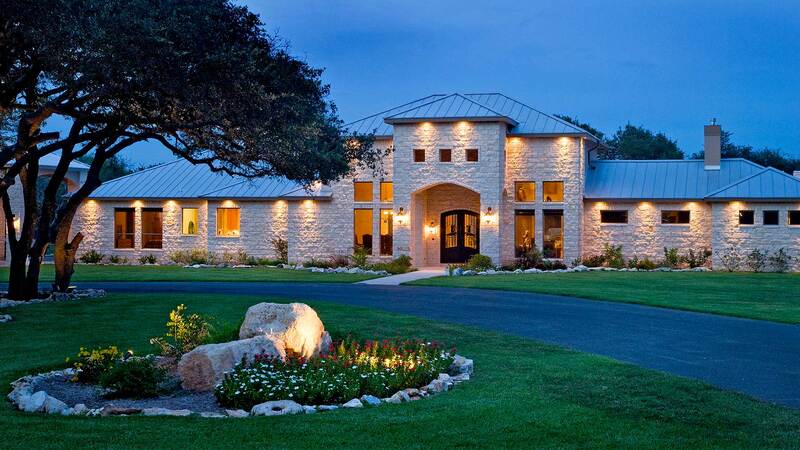 For the successful executive this 18± acre luxury estate is the crown jewel in your portfolio! 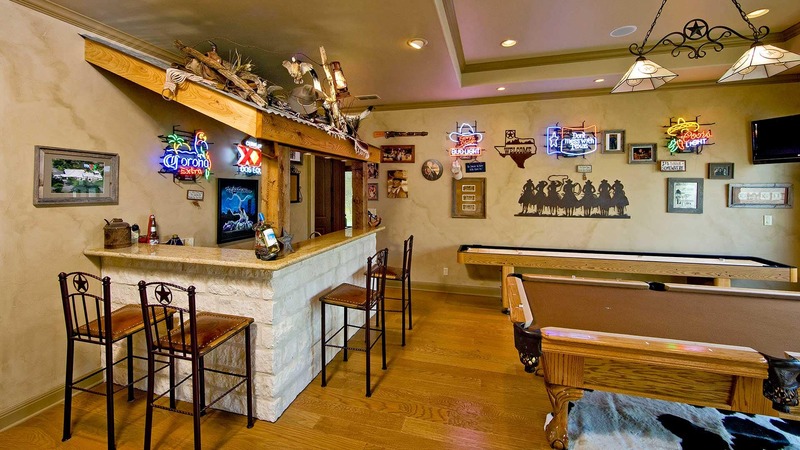 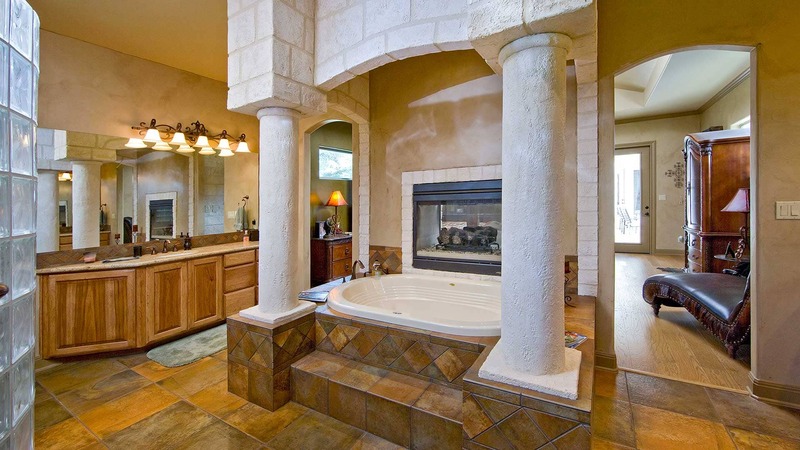 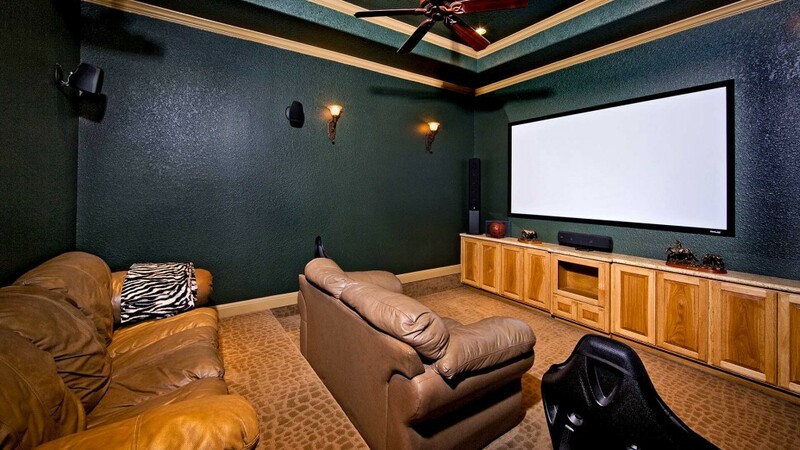 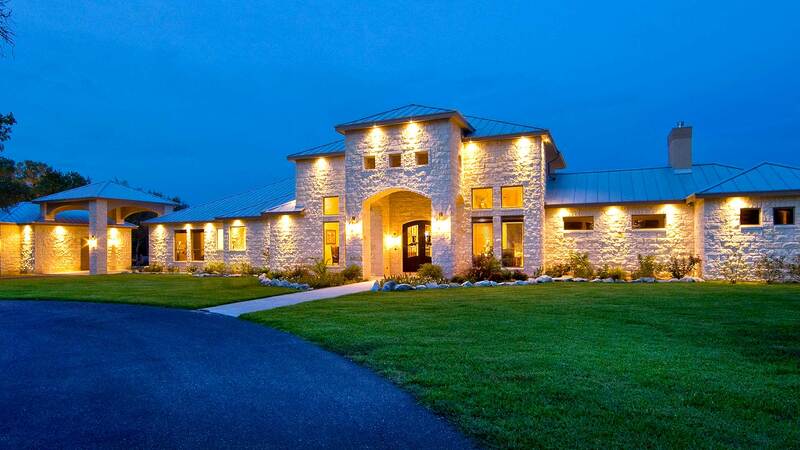 An incredibly rare find, this is a ready to go commuter estate, located in the Spring Branch, Bulverde area, just minutes from Highway 281, and only 20 minutes to San Antonio! 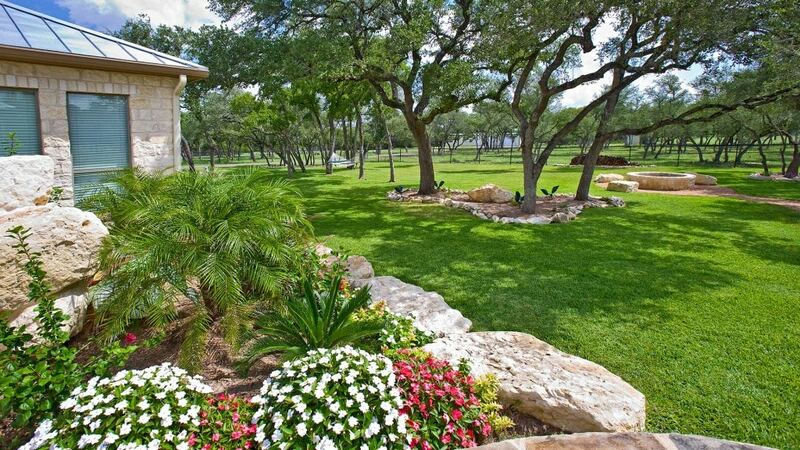 This is an awesome location that features country living at its best, with all the city conveniences only minutes away! 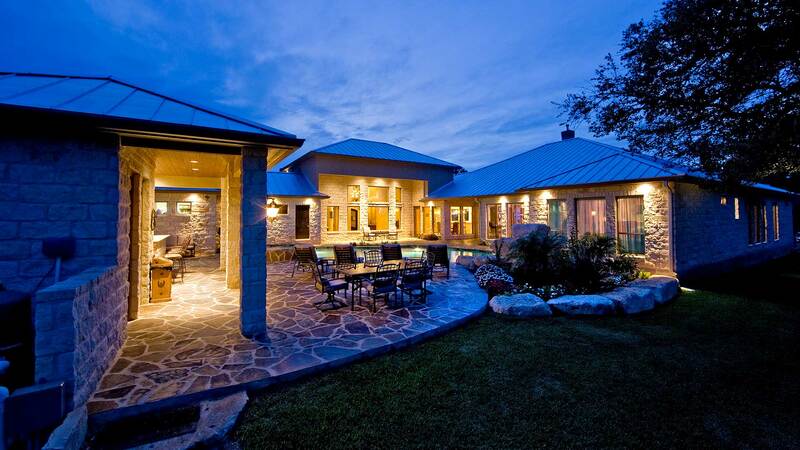 The main house is an almost new, spectacular, one story rock ranch home of approximately 4,800 s.f. 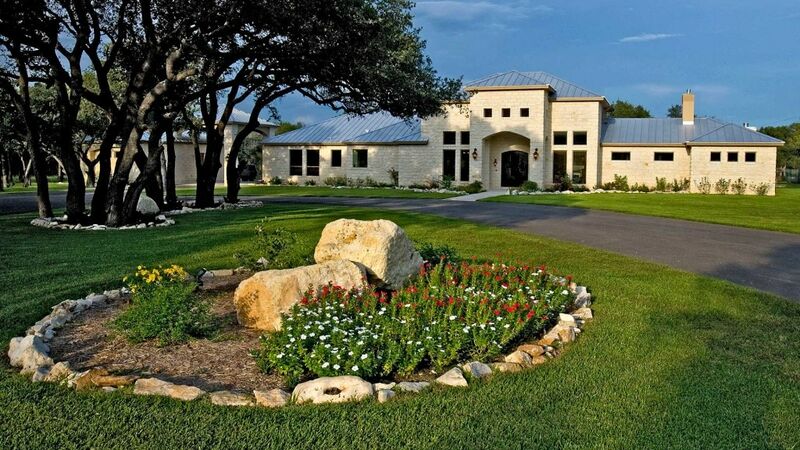 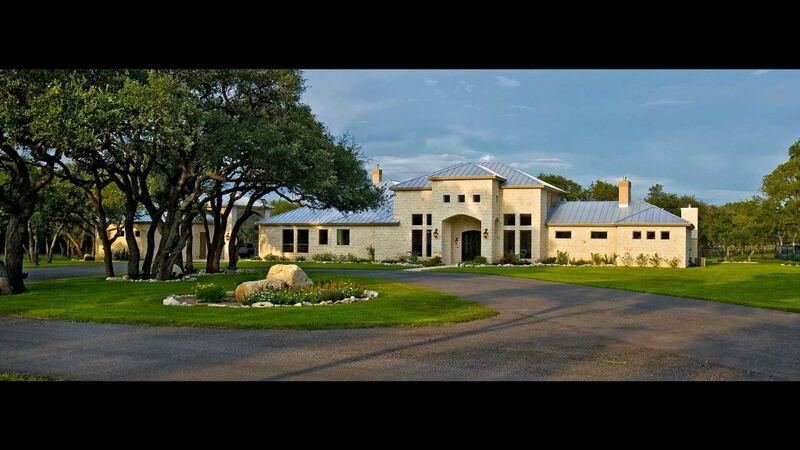 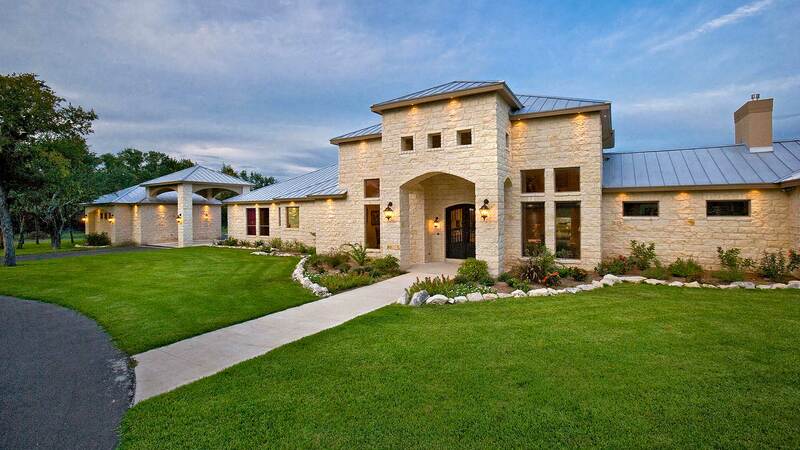 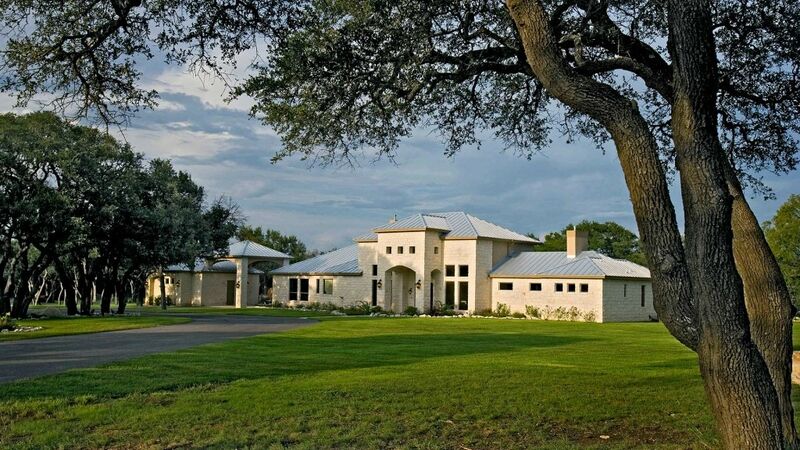 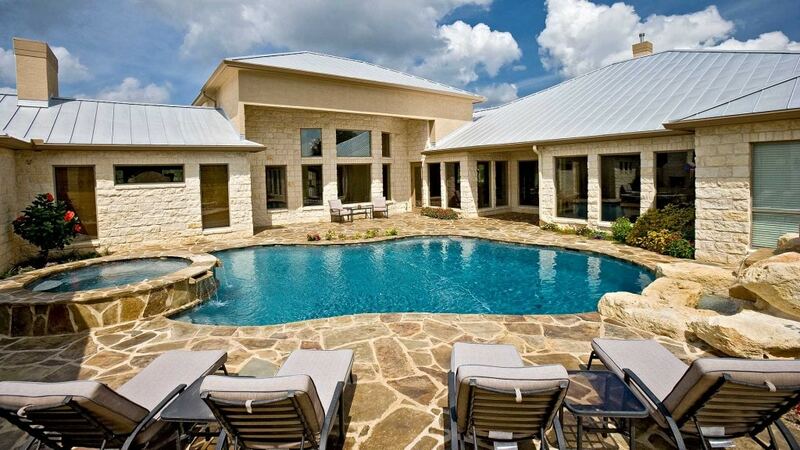 The home features an Austin limestone exterior with a standing seam roof. 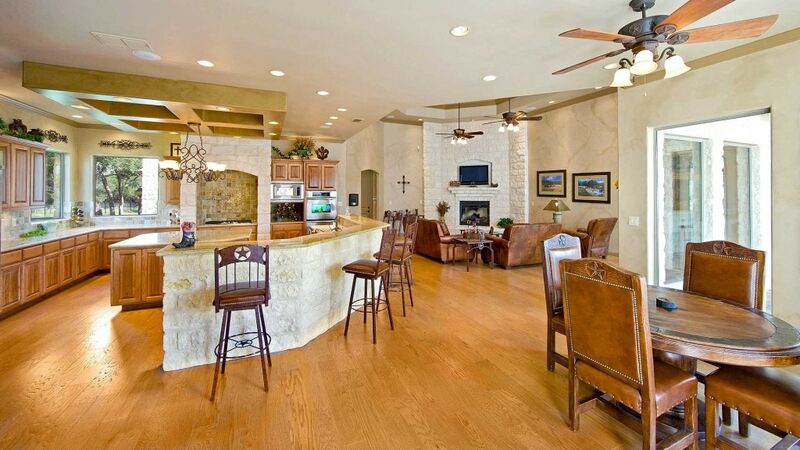 An open floor plan that is perfect for entertaining features a 20’ tall ceiling in the entry area, 4 bedroom suites with 4.5 baths, a gourmet kitchen, a theatre room, and way too many amenities to list. 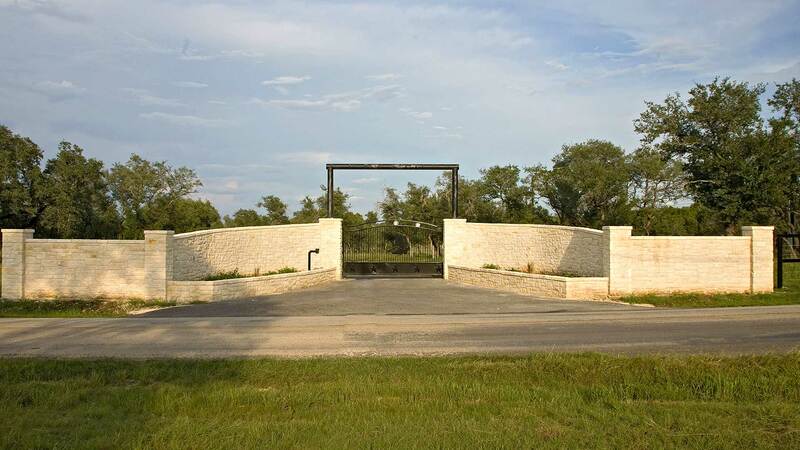 The property includes and electric entry gate finished in rock, a paved drive, and elegant outdoor lighting. 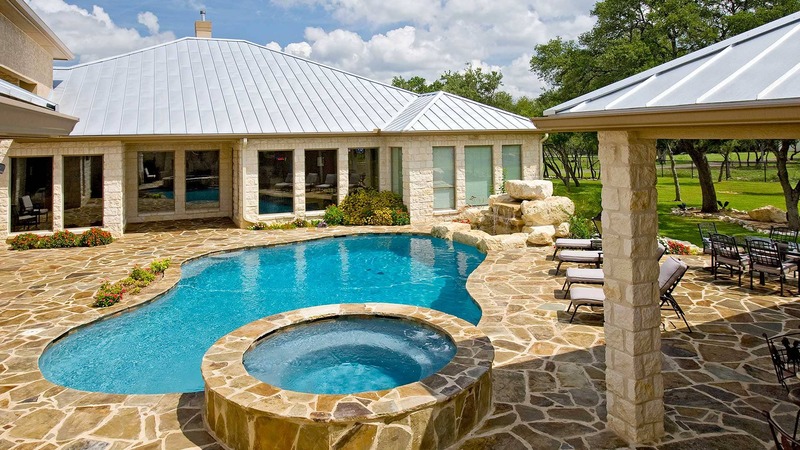 Floor to ceiling windows overlook a large pool with a built-in waterfall, patio, outdoor kitchen and cooking area, a fire pit, and a cabana with a three-quarter bath. 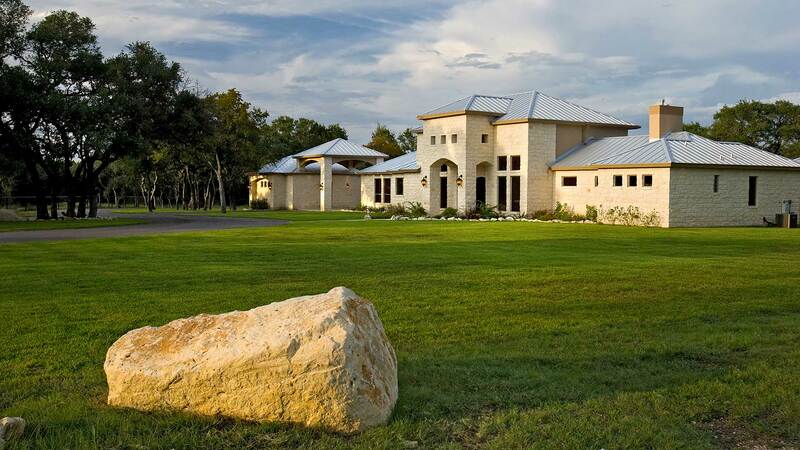 On the property you will also find a dog run, a batting cage with lights, a 40’ x 80’ foot drive thru barn, a 22’ x 80’ lean-to, covered boat storage, covered RV storage, and a 300 s.f., three bedroom, one bath guest apartment. 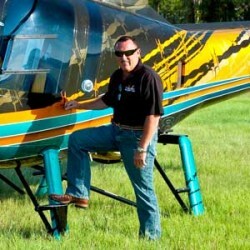 The entire property is “Ag-exempt” for property taxes, and hunting is permitted!